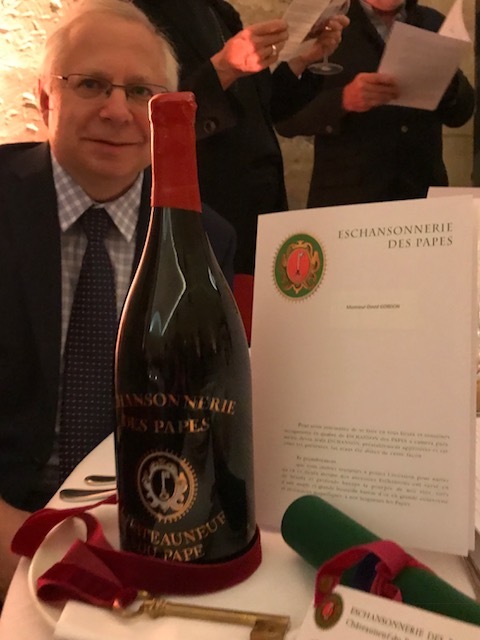 Our Wine Director David Gordon receives honorary citizenship in Chateauneuf du Pape and his induction into the L'Echansonnerie des Papes. 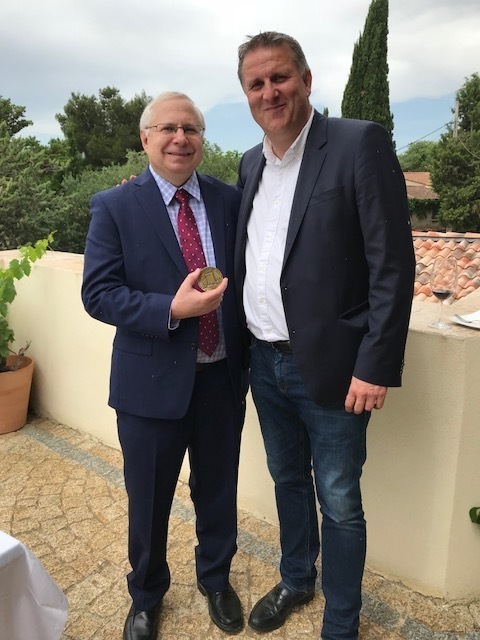 Congratulations to our Wine Director David Gordon on his honorary citizenship in Chateauneuf du Pape and his induction into L'Echansonnerie des Papes on May 26, 2018. David was only the third American to receive the honor of citizenship. 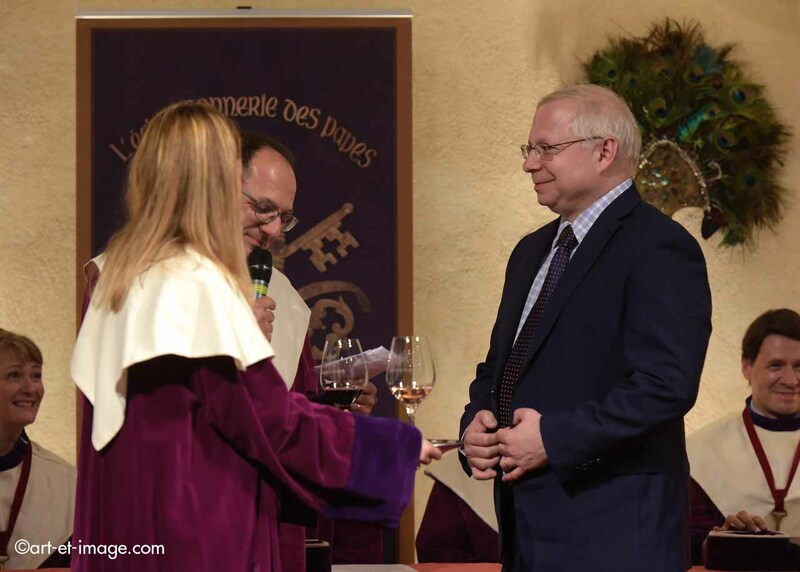 It was presented to him in a ceremony in the town of Chateauneuf du Pape by Mayor Claude Avril. Later on that evening, he was inducted in L'Echansonnerie des Papes in a lavish ceremony in the centuries old Palais des Papes in Avignon. Isabel Ferrando of Domaine St. Prefert made the introduction and David had to identify a glass of Chateaneuf du Pape blind during the ceremony. He was honored for his tremendous support of the region's wines over the years that is exemplified by the more than 250 selections of Chateauneuf du Pape on the award winning wine list at Tribeca Grill. Please join us at Tribeca Grill to enjoy these coveted wines. Images Left to right: 1/ David Gordon & his award; 2/ David Gordon receiving the award; 3/ David Gordon with Claude Avril.